WEDDINGS - FESTIVALS - REUNIONS - BIRTHDAYS - BAT MITZVAHS - SCHOOL DANCES - CORPORATE EVENTS - AND MORE! 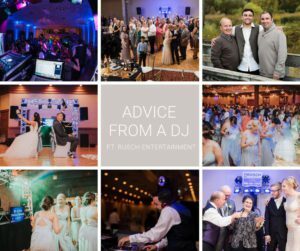 Affordable, Reliable, Experienced DJs, Musicians and Entertainers – Rusch Entertainment has been entertaining people since 1971 – Providing Entertainment for Over 50,000 Events! Rusch Entertainment is proud to be featured by Horizons Conference Center! NEW for 2019 – Sparkler Fountains! Planning a Wedding, Party or Prom? Rusch Entertainment offers hundreds of different performing acts, all of which come backed with years of experience and positive reviews. Since our doors opened in 1971, Rusch Entertainment has been the most awarded entertainment company around, but our greatest reward is in providing you with the best possible act for your event! At Rusch Entertainment, we work with you to meet YOUR needs. We offer affordable, reliable, experienced performers and a large variety of entertainment options. Whether you’re looking for a DJ, live band, guitarist, piano player, dueling pianos, comedian or something a little out of the ordinary such as a hypnotist, ventriloquist, magician, juggler, harpist, clown, belly dancer, caricaturist, impressionist, one man band, Elvis or Blues Brothers tribute artists, mime, or Face Painter – Rusch Entertainment can help! We invite you to browse our site for more information on the multitude of acts and services that are available – or contact us to discuss your needs! Our goal is to put a smile on your face by providing an act that your guests will be talking about long after your event is over. Rusch Entertainment has won a number of awards from local area and world renown bridal magazines including, The Knot Best Of Weddings, The Wedding Wire Bride’s Choice Award, Greatest of the Great Lakes Bay, Best Of Awards Michigan Meetings & Events, and many more. More importantly, we’ve received rave reviews from our satisfied customers! We invite you to visit our Reviews page to see what our clients have to say!